I remember sitting on steps near the Elephanta Caves during a school trip and gazing across the water at the Trombay research facility where India’s nuclear programme was born. The nation’s first reactor, a gift from the French, was framed against a thickly forested hill, but no matter how graceful its dome looked -- and it did look serenely elegant -- the name Apsara seemed a bad fit. 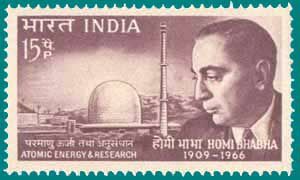 I had recently seen the Jane Fonda / Jack Lemmon starrer, The China Syndrome, about the near meltdown at Three Mile Island, and felt keenly how catastrophic Trombay could prove for the millions who lived close by. One of the reasons I approved strongly of the civil nuclear agreement between the United States and India was its mandate of international monitoring. While Left and Right bewailed our supposed loss of sovereignty, I figured the more inspectors we had the less likely a Chernobyl-style disaster would be, and hoped the relatively minor leaks that have been reported now and again would be curbed. In the final agreement, India separated defense facilities from civilian power plants, and Trombay, the primary production centre of plutonium used in India’s atomic weapons, was placed in the first category. Which meant no external inspectors would get a look inside, and it would be a prime target for bombing in case of any war. A year ago, Fukushima happened, and every nation in the world that had nuclear power in its mix of electricity generation, or was considering adding it, did a rethink. Germany appears to be giving up on nuclear power entirely, and other nations are cutting down. In India, there’s a strong protest against the Russian-built Koodankulam plant in Tamil Nadu which is ready to start operations, and the proposed Jaitapur plant to be built by Areva SA of France in Maharashtra. I understand why protests have been concentrated in Koodankulam and Jaitapur: the fear of the unknown weighs on the minds of those in the region, while the same isn’t the case among people who have lived for years close to existing nuclear reactors, Trombay included. The protests, insofar as they focus on the issue of safety, are deeply misguided. It stands to reason that state-of-the-art nuclear plants will be safer than old ones. Many have suggested that the proposed Jaitapur facility relies on ‘untested’ technology, but it will have been very well tested by the time it is completed, since a number of similar plants will have gone critical in other countries by then. If activists are truly worried about nuclear safety, they ought to demand the decommissioning of old power plants, for an accident is far more likely to happen there than in Koodankulam or Jaitapur. A few environmentalists supported nuclear energy in the past, but most viewed it negatively, and whatever ambivalence any of them felt has been eradicated in the past year. Their major grouse is, of course, that nuclear plants and spent fuel storage facilities are potential epicenters of utterly horrifying accidents. Their safety record, though, is pretty good, all things considered. Even Fukushima ended up costing just two or three lives. We’ve had nuclear tech for seventy years, and in that time there’s only been one accident anywhere in the world that claimed a substantial number of casualties. When the tsunami of 2004 hit the Tamil Nadu coast, parts of the Kalpakkam nuclear power plant were flooded. The Emergency Control Centre built for such an eventuality remained shut through the crisis. But, despite this predictably pathetic response, the reactor itself stayed stable. Which is why anti-nuclear activists raised no alarm in Tamil Nadu after 2004 the way they have done over the past twelve months. The reason a few environmentalists favoured nuclear power in the past was because it's pretty clean energy, especially compared to the alternative: coal-fired plants. Coal burning doesn't kill people as dramatically or decisively as nuclear radiation, but cancer hotspots near thermal power plants have been observed around the globe, suggesting that many thousands of deaths can be put down to pollution from coal burning. Indian Greens, unfortunately, live in a dream world where they pretend to themselves that we can find an alternate development model that does not require increasing electricity output, or else that sufficient power can be generated from the wind and the sun (even the former isn’t particularly clean). To understand what will happen as a consequence of closing down our nuclear programme, one can look at Germany. Easily the world’s most ecologically sensitive large nation, it has decided to phase out nuclear power by 2022, but hasn’t increased its renewable energy targets to compensate. Germany aims to have 35% of the nation’s electricity coming from renewables by 2020, which is very ambitious. The new gap created by the shortfall in nuclear supply will have to be filled by squeezing an extra 10 GWh from burning fossil fuels, mainly coal. That's what environmentalists need to face head-on when they make arguments against nuclear energy. The Indian government’s response to the Koodankulam protests, meanwhile, has been typically ham-handed. It has blamed American-funded NGOs; expelled a German for financing anti-nuclear demonstrations, though the poor chap barely had enough money to house and feed himself; and labelled activists anti-national instead of mounting a positive education campaign to counter the democratic agitation. It's difficult to take sides when one has a demagogic administration on one side and an irrational protest movement on the other.